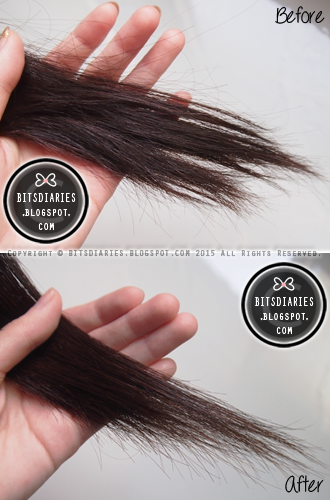 Glorious hair is not just about trend, not sexiest cut or the latest color. It's all about healthy hair; and to achieve truly healthy hair requires products that are designed to repair, nourish, smooth and protect from deep within. 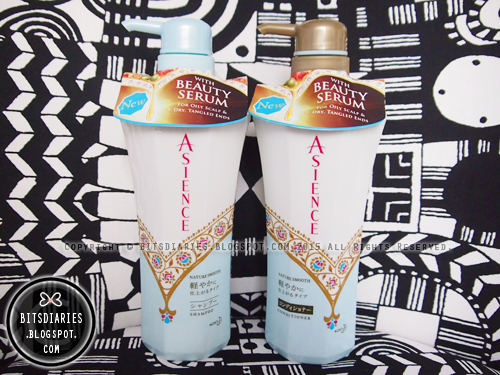 Knowing that beauty hair must come from within, Asience introduces a new and improved hair care formula with the power of it's brand-new Beauty Serum! 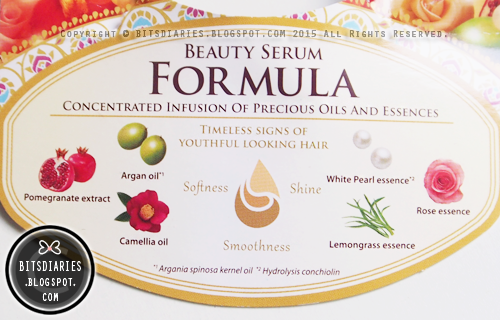 Crystalizing the goodness of SIX natural ingredients — concentrated infusion of Argan Oil, Camelia Oil, Pomegranate extracts and Rose, White Pearl and Lemongrass essences, into a single Serum. It is designed to penetrate into your hair shaft, repairing from within, giving your hair the three key signs of youthful vitality — softness, shine and smoothness. 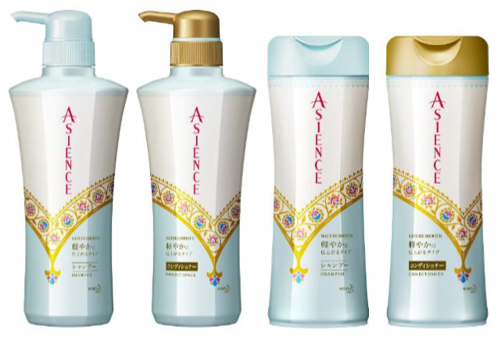 Asience new and improved haircare range, formulated with the power Beauty Serum, is now available in two variants — Inner Rich (yellow) and Nature Smooth (blue). Both variants come in 200ml and 480ml sizes. Inner Rich combats dry, unmanageable and frizzy hair troubles by conditioning and repairing, giving you all-day moisture that your hair needs. Nature Smooth combats oily scalp and dry tangled ends, which is exactly what I need and am glad to received a set of shampoo and conditioner (480ml each) from this variant to try out! Directions/Usage: Simply massage shampoo onto wet hair to lather. Rinse it off completely. Suitable for daily use. 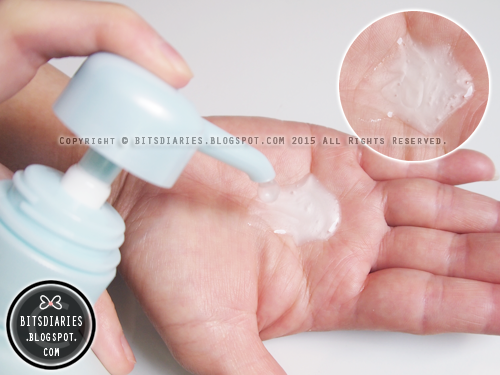 The shampoo is light in consistency and it lathers surprisingly well with just one pump! 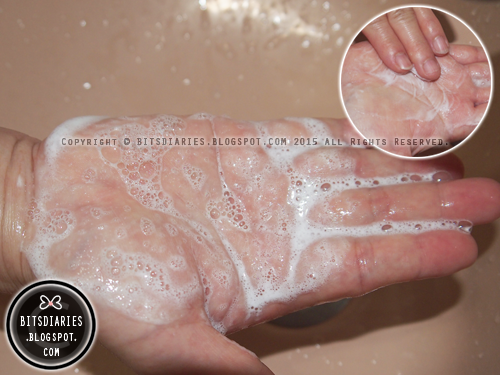 Directions/Usage: After shampoo, squeeze out excess water. Massage conditioner evenly onto the middle and ends of hair. Leave on for 2-3 minutes then rinse off completely. Suitable for daily use. The conditioner is very creamy in consistency and it distributes well through my hair. 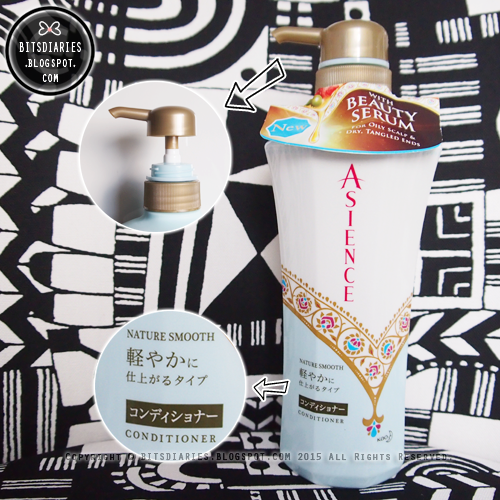 Both the Nature Smooth shampoo and conditioner can be rinsed off easily. Verdict: Basically, the shampoo cleanses and repairs from the scalp and the conditioner hydrates the hair for a light and smooth finish without being too oily. 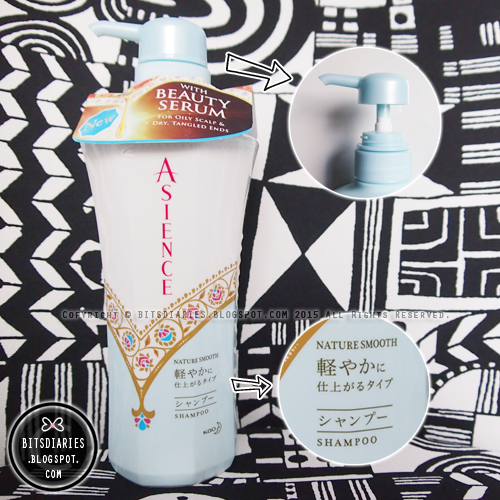 Each time I use the shampoo, I can feel my scalp is deeply cleansed and clarified. After using both shampoo and conditioner for a week, I noticed each strand of my hair felt softer and more manageable! They just give my hair an instant boost of moisture, softness and smoothness, while treating oily scalp and keeping dry ends and tangles at bay without being too heavy or greasy. What's more, both the shampoo and conditioner from Nature Smooth range have a relaxing floral fragrance which leaves my hair smelling divine! From super moisturizing, frizz-free hair to oily scalp care products, Asience offerings ensure your locks stay lovelier and healthier in the long run, regaining the timeless beauty of youthful-looking hair! The new and improved Asience haircare range is available at leading supermarkets, western pharmacies and personal care stores from January 2015. Prices range from S$7.95 to $14.90.